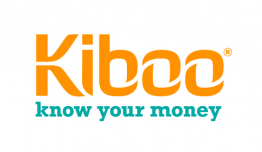 Kiboo is a resource that improves how you spend, save, and give. With us, you'll use innovative tools and technology to better handle your money. Here's how it works: You spend easily yet responsibly with a Kiboo MasterCard® Prepaid Card. You save for the things you tell us that you want (like a new smartphone). You follow easy-to-understand tools that help you save, spend, and give smarter. Whether we're your first interaction with money, or we're an alternative you've decided to try, Kiboo is here to help you Know Your Money.